The AMD Catalyst Omega driver brings a number of new features and enhancements to a wide range of AMD GPU and APU products. There are also important performance boosts for many popular games. The Catalyst Omega driver boasts some serious performance improvements in many hardware configurations due to a more efficient design. AMD states that you can expect up to 19% more performance than the previous driver (Catalyst 14.11.2) when running games on high-end graphics cards, and up to 29% more performance on APU-based systems. Here is a list for the new features the Catalyst Omega drivers offer. This technology allows a user to improve visual quality in games and other content by rendering at a very high resolution (up to 4K) and then displaying that content at a lower resolution supported by the available monitor. VSR is game- and engine-agnostic solution. When this feature is enabled, Virtual Super Resolutions beyond the native resolution of the display device will be available in a wide variety of games and applications, including the Windows desktop. Effectively, VSR provides a Super Sampling Anti-Aliasing (SSAA) feature for the games and applications that do not natively support that functionality. This feature uses GPU compute to interpolate inferred frames with real frames and increase overall video frame rate and smoothness when watching Blu-ray content. AMD Catalyst Omega driver also provides significant performance benefits for gamers who use our AMD Radeon Discrete GPU products. Performance benefits are shown here for an AMD Radeon R9 290X graphics card, comparing the AMD Catalyst Omega driver to the launch driver for that product – AMD Catalyst driver 13.12. This feature implements an improved algorithm for compressed videos which removes compression artifacts without disturbing video details. This feature improves the sharpness and clarity of compressed and low resolution content when it’s played on a 1080P display. The AMD Catalyst Omega driver brings this existing feature to AMD APU products. This feature makes your 1080p video content look even better when displayed on an Ultra HD (4K resolution) display. The AMD Catalyst Omega driver enables unparalleled display performance for professionals and gamers who require the highest resolution available with support for this new breed of displays. Frame-pacing enhancements have been implemented in prior AMD Catalyst drivers to bring a smoother gameplay experience to users of AMD Crossfire Multi-GPU graphics configurations. 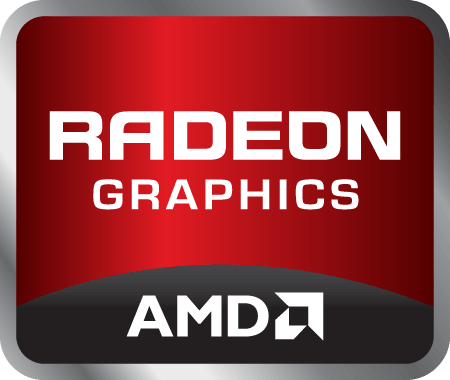 The AMD Catalyst Omega driver brings this same technology to our AMD Dual Graphics system configurations, which harness the power of an AMD APU working together with an AMD Radeon GPU. Like many other AMD Catalyst drivers, the AMD Catalyst Omega driver delivers free performance increases. Here we compare the performance of the AMD Catalyst Omega against AMD Catalyst driver 14.2 – the driver provided with our AMD 7000-series APU products at launch. Introducing the AMD Catalyst Omega driver for Windows, a "Special Edition" driver delivered to enhance the AMD GPU and APU experience. The AMD Catalyst Omega driver contains over 20 new features, performance improvements, and significant number of bug fixes and improvements. All improvements will be carried forward in subsequent driver releases. Performance that far exceeds the built-in graphics. Enables host and device kernels to directly share complex pointer based data structures, eliminating explicit transfers between the host and devices while increasing programming flexibility. Enables functions to be written without named address spaces which increases flexibility and saves time by eliminating the need for multiple functions to be written. Up to 15% performance increase in single GPU scenarios with Anti-Aliasing enabled. Up to 50% performance increase in single GPU scenarios with Anti-Aliasing enabled. Catalyst Control Center Video Quality settings may not be available or retained if the "Enforce Smooth Video Playback" option is not selected on some AMD HD series GPU's.